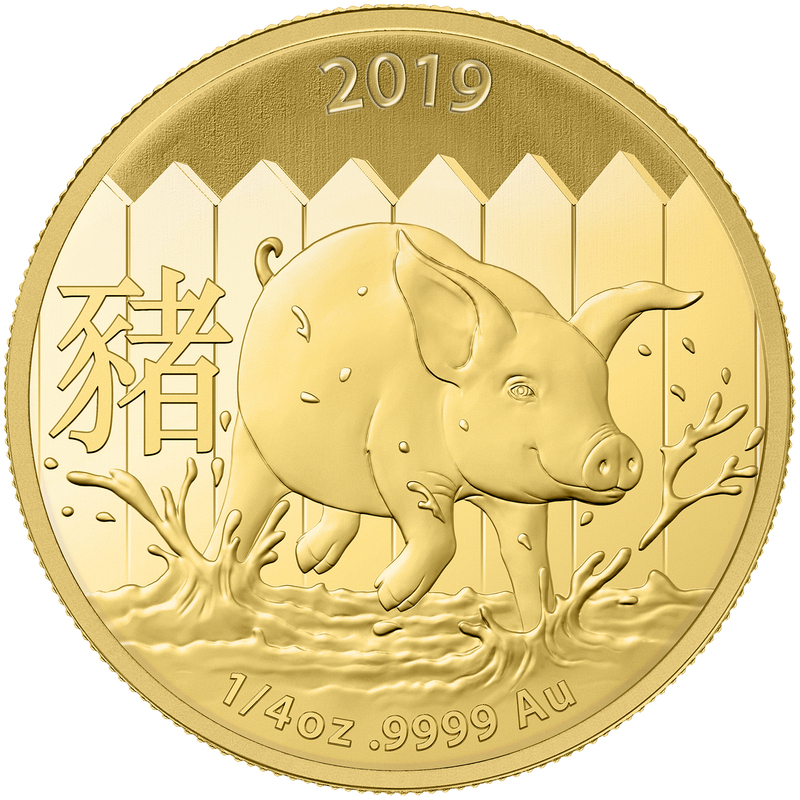 In commemoration of the 2019 Chinese New Year, the Royal Australian Mint presents the Year of the Pig gold investment series, exclusively distributed by PAMP. Celebrated by the Chinese for its symbolic properties of compassion, generosity and intelligence, the pig is also strongly associated with wealth and abundance. The coins of the series are rendered and struck in high detail by the Royal Australian Mint and are uniquely suited for both gift-givers and investment enthusiasts alike. The truly exceptional coin design is richly detailed and crafted in 99.99% fine gold with an uncirculated bullion finish. The reverse design features a detailed rendering of a happy and carefree pig at play, as it runs through a puddle of mud, and the Chinese character ‘猪’, which translates as ‘pig’ in English. The top of the reverse design features the year ‘2019’, while the bottom features the coin’s metal weight and fineness. 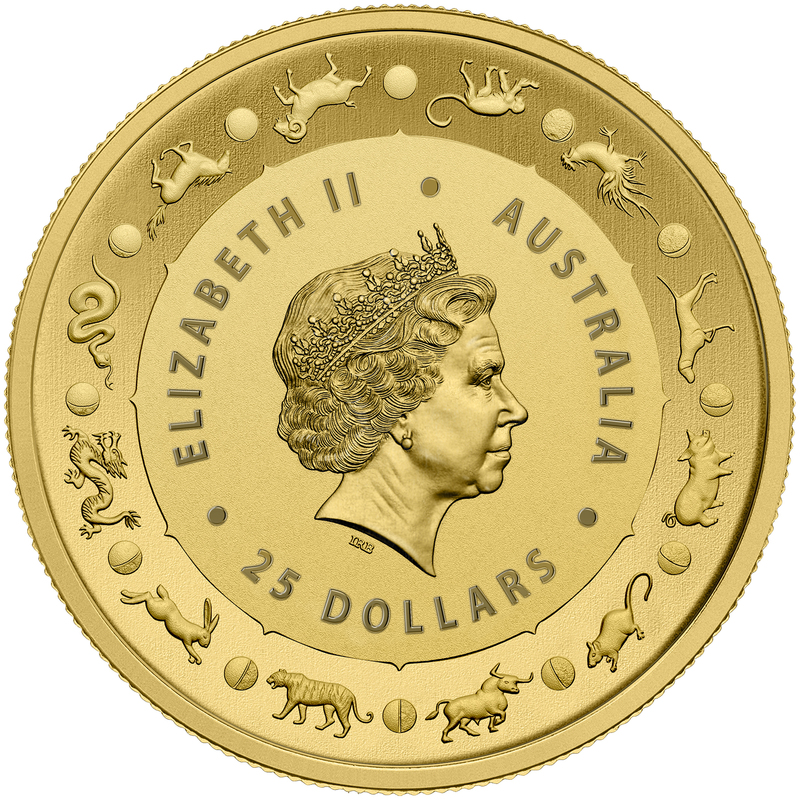 The obverse features the effigy of Her Majesty Queen Elizabeth II, along with the text ‘ELIZABETH II’, ‘Australia’ and the face value of the coin – all of which are encircled by depictions of the 12 signs and moon phases of the Chinese Zodiac. Gold Avenue recommends wearing protective gloves when handling your precious metals products in order to protect them against scratches and other damage. Gold Avenue can also provide secure storage for your products. This beautiful gold bar aims to celebrate the Chinese Lunar New Year and important annual festivals in China, as well as anyone born in the Chinese Year of the Pig. The ancient Chinese myth claims that the Jade Emperor had to decide the order of the animals for the calendar. Not knowing how to go about it, he decided to allocate a place according to the order of arrival of the animals at his royal holiday. The Monkey, the Dog, and the Rooster were outside the Empire chasing evil spirits and bringing peace and prosperity to the kingdom. Because of this, they arrived together. The Jade Emperor was impressed by their great act and honored the animals with their position.